There is a history of Gaelic Games in our parish dating back to the 1700's - in 1741 an "Inter County" hurling game took place in Kildinan between Cork and Tipperary selections. In the 1880's after the GAA was founded, Rathcormac Football team and Bartlemy Hurling team were very prominent in Cork Gaelic circles under their patron Fr. Edmond Barry. Clubs and teams came and went in Bartlemy, Rathcormac and Kildinan in the first decades of the 20th century. In 1928 the two existing clubs in the parish, Bartlemy and Rathcormac united to form Bride Rovers. Success came quickly to the new club. Two East Cork Junior Hurling Championship titles were won in 1930 and 1932 and the East Cork and County Minor Hurling titles were also won in 1932. Moving up to Intermediate grade in 1933, the club got to the County Final and were beaten by Lough Rovers. With little success at Intermediate level it was decided to regrade to Junior in 1938 when they got to the East Cork final but were beaten by Cloyne, which then included the young Chritsy Ring. Though Con Murphy won a Senior Hurling All Ireland medal with Cork in 1946, the 1940's were lean years for the Rovers. In 1950 the club folded up. A club started in Bartlemy in 1951 and kept going until 1955. In 1957 an U-16 East Cork title was won. In 1959 a new club, St Bartholomews, was formed and reached the East Cork Junior B Final of 1960. This club folded in 1961. For the next three years players from the parish played with different clubs. In December 1964, the Bride Rovers Club was reformed and thankfully has remained in existence since. In 1966 the East Cork âB' Hurling Championship was won and in the same year Seanie Barry won U-21 and Senior All Ireland medals with Cork. East Cork âA' Grade titles were won in 1968 and 1969 and a second âB' grade title was won in 1975. In 1977 the club bought 7 acres of land to develop a pitch and the first game was played there in 1983. The 1980's brought 2 Junior Hurling League titles to the club and a âB' grade championship but no success at âA' grade championship level. The pitch was officially opened in 1985 with a Cork v Offaly game. 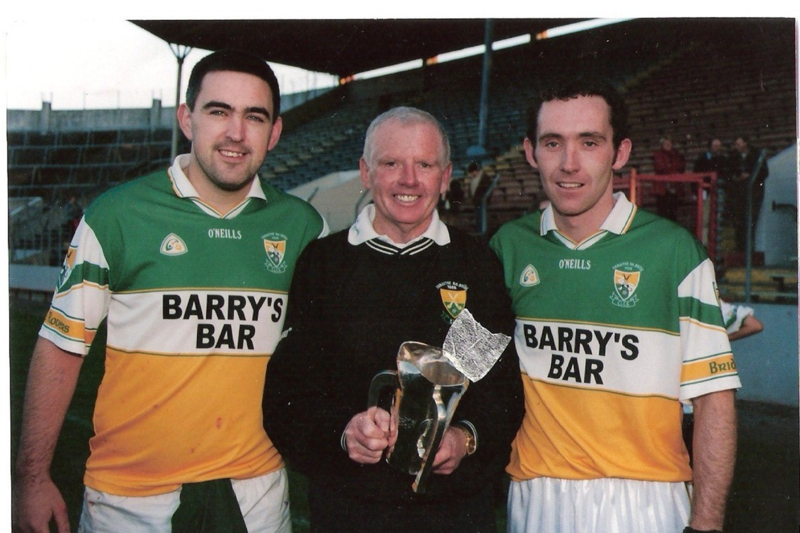 In 1991 the club regraded to âB' grade hurling and in 1993 the âB' grade hurling and football double was won. 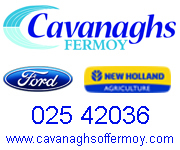 In 1997 the Junior âA' hurling team got to the East Cork final for the first time since 1973 but lost to Castlelyons. In 1998 the East Cork title was won for the first time since 1969 and the club went on to win an historic County Junior Hurling title for the first time. Since 1999 the club has been in the Intermediate grade. The club has contested 3 All Ireland 7-a-side finals in a row - winning the title in 2000. The Club History "Bride Rovers Abu" was published in 1999. In 2000 the U-12 hurlers brought the first ever Juvenile County Hurling title to the parish. In the Scor talent competitions many East Cork titles have been won and County titles have been captured in the Novelty Act and Question Time. In recent years Barry Murphy, Niall Fitzgerald, Brendan Walsh ,Barry Johnson Michael Collins and Brian Murphy have played with various Cork Inter-County Hurling teams. 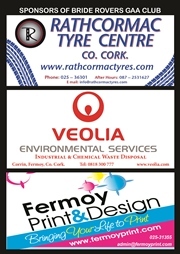 The club was represented on the Imokilly Senior Hurling team, which won 2 County titles. In 2002 a splendid new clubroom was built to facilitate meetings and to provide catering for players after games and training. Brian Murphy was on three Cork Inter-County hurling teams in 2003, u-21, Intermediate and Senior. He won Munster medals at Intermediate and Senior level and an All-Ireland medal with the Cork Intermediate team before going on to win Senior Medals in 2004 and 2005. In 2003 Bride Rovers Intermediate Hurlers succeeded in winning a historic double by capturing both the Championship and League trophies. The team Coach was Jack Russell of Ballyhea. The team also won the Munster Championship beating Kilruane Mc Donaghs of Tipperary in a thrilling final played in Kilmallock. The clubs Junior B side also won the Division 3 of the East Cork hurling league. "Come Listen a While" was published in 2004, detailing the successes of 2003.The club was elevated to Senior status in 2004 and competed very well in the top grade. We won the East Cork Junior Football championship for the first time in 2004, defeating Fr. O Neills in the final. In 2007 a second JAFC title was added when we beat Carrigtwohill in the Final. In 2004 the Semi Final of the Co. SHL was reached. In 2005 the team went a step further reaching the final where Glen Rovers defeated us by a point. In 2005 the Co. SHL Final was reached again but Blackrock were winners, again by a single point margin. Brian Murphy has won All Ireland Senior medals with Cork in 2004 and 2005 and was Young Hurler of the Year in 2004. In 2006 Sars defeated us in the first round of the Co SHC. We then defeated the Glen before losing a thriller to Newtownshandrum. County ScÃ³r titles in Novelty Act were captured in 2003, 04 and 05 and we reached the All Ireland Final in 2005. In 2007 the Senior Hurlers reached the County Semi Final but lost to Erins Own 2008 was a historic year as the Club contested the County Senior Hurling Final for the very first time. After a great game we were heartbroken to lose to Sarsfields by a solitary point. In recent years the Clubs underage teams have been to the fore winning County Titles at under 12 and under 14 level in 2010 and 2011. With the number of Club teams increasing rapidly and the growth of Camogie and Ladies Football a second pitch has been in use with a number of years. This is due to the generosity of the Pyne family. In 2010 a decision was taken to provide some form of All weather, floodlit facilities for team training. 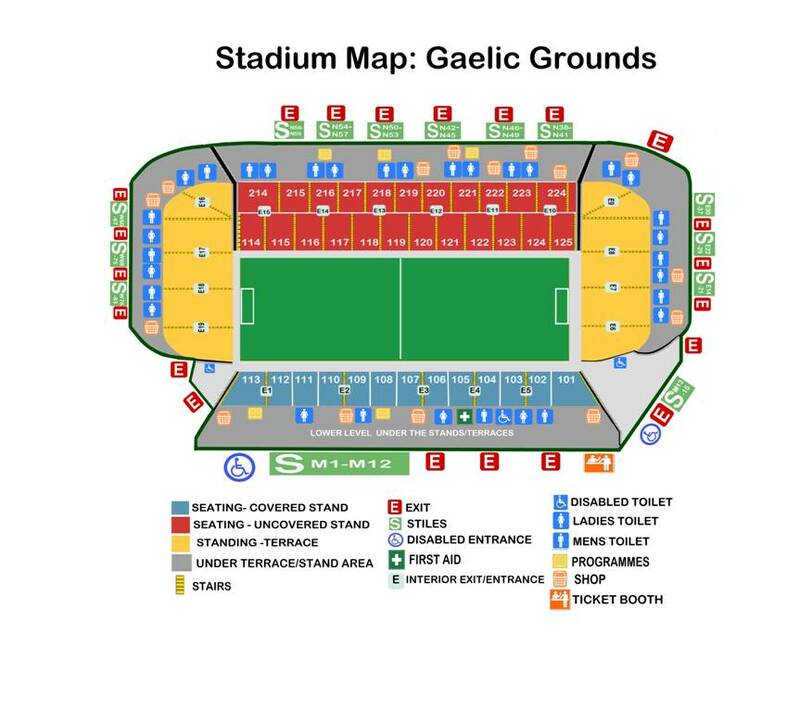 A Three-walled Hurling Alley and Astro Turf playing area was constructed. 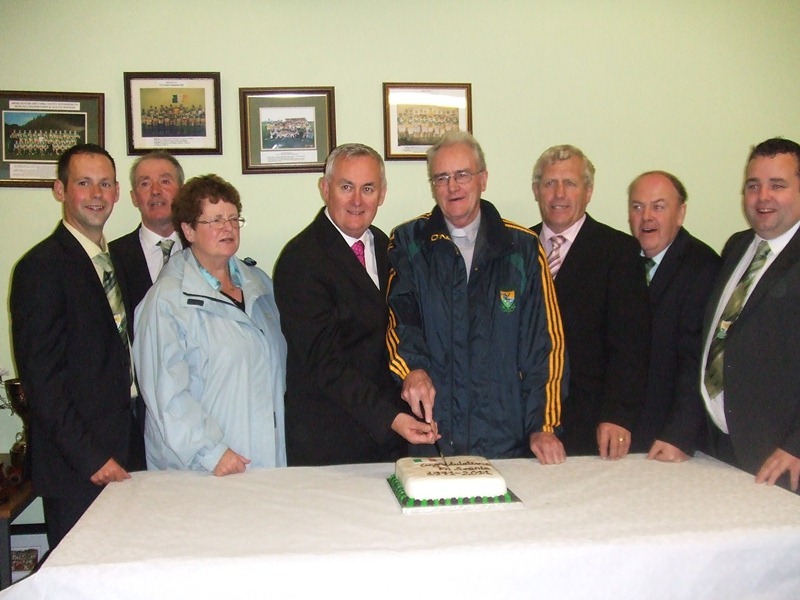 It was officially opened by GAA President Christy Cooney in September 2011. On that historic evening Fr. Seanie Barry celebrated the fortieth Anniversary of his ordination to the Priesthood. In 2011 the Club Senior Hurlers lost to Na Piarsaigh and Erins Own in the Co SHC. A victory in a replay over Bishopstown was followed by a great win over Blackrock. In the Co Quarter Final we lost to CIT. The Junior Hurlers won the East Cork Div 2 Hurling League and the u 11 team also won the Jerard Kenny Trophy. 2014 3 girls from the club won All Irl Senior Football medals with Cork, Grace kearney (played) and Eleanor Ahern and Jennifer Barry were subs. Gerard Lane was elected County Chairman at Convention and James Bermingham refereed the County Senior Football Final.